Big Bear, California, is full of adventure. Mountains, forests, and wildlife surround the gorgeous lake. During your stay at Big Bear Lakefront Cabins, you’ll want to experience it all. One of the best ways is to get some Big Bear Lake boat rentals! You’ll love getting out on the water with your family and friends. If you’re looking for other activities like Big Bear Lake boat rentals, we can help. Our area is filled with countless other wonderful attractions. For a complete list of handpicked, local recommendations, take a look at our complimentary Vacation Guide. This valuable resource has helped so many travelers plan unforgettable trips to Big Bear, so get a copy today! Big Bear Marina on Big Bear Lake, CA, is a favorite place to get Big Bear Lake boat rentals because of its large selection. Whether you are looking to relax, fish, or paddle across the lake, they have a rental for you! If you want to enjoy some time out on the lake with family or friends, we recommend a pontoon boat rental. If you’re looking to cast a line, they have fishing boat rentals, too! You can also rent some fun water play equipment like wave runners, paddleboards, kayaks, and more. If you’re looking for variety, try Pine Knot Marina on Big Bear Lake, CA. They have the usual pontoon and fishing Big Bear Lake boat rentals as well as other fun activities to get you out on the water. You can fly high in the sky on a parasailing tour or learn all about the history of the area on a paddle tour boat. No matter what you decide to do, visitors of all ages love the experience this company offers! 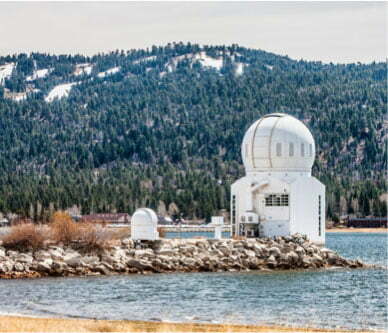 North Shore Landing offers two marinas for Big Bear Lake boat rentals. Their selection is incredibly vast, so you should always be able to find what you’re looking for. Choose from 1, 2, and 3-seater jet skis, pontoon boats, and kayak rentals or kick up the fun with wakeboarding and tubing options. They also offer a tour of the lake by pirate ship! The Big Bear Pirate Ship Cruise can take you and your family for a tour, or you could opt for a romantic sunset cruise with your sweetheart. 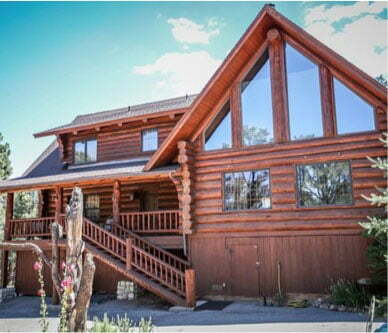 After you’ve enjoyed your Big Bear Lake boat rentals, come back and relax at your Big Bear Lakefront Cabin. Our cozy cabins will be your home away from home during your vacation. 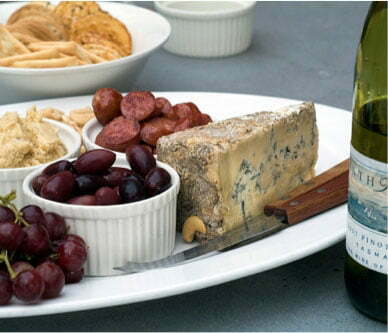 If you’re looking to be out on the lake often, consider indulging in a lakefront rental. Some even come with your own dock access! There’s nothing like waking up and enjoying a delicious cup of coffee as you gaze out over the crystal clear water. 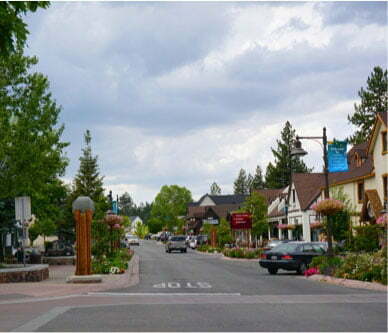 During your stay in Big Bear, you’ll feel refreshed and rejuvenated from the clean mountain air. It’s time to start planning your getaway today!